It’s Hispanic Heritage Month darlings, and to celebrate the occasion, I invite you to experience a taste of the Hispanic influence on the wine industry. 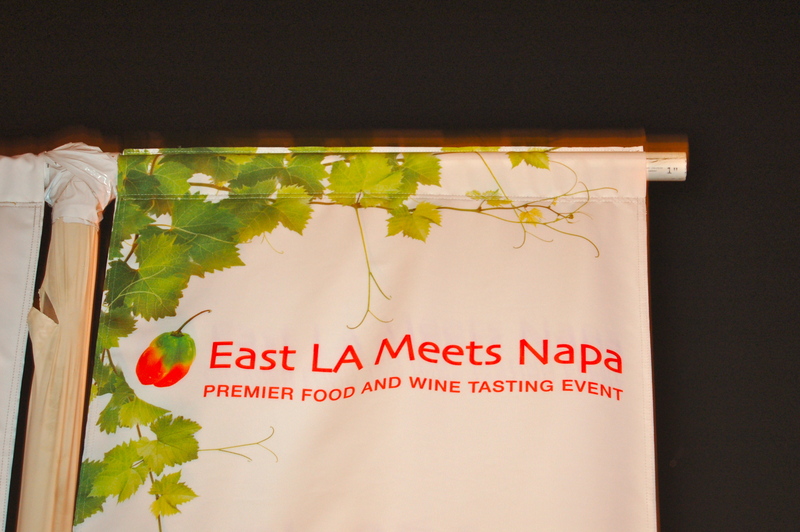 This post originally appeared three years ago when I attended my second East LA Meets Napa event, a charity-oriented celebration of the Latino community’s contributions to food and wine in Los Angeles. So pour yourself a hearty glass of Mexican Cabernet Sauvignon from Mexico’s Guadalupe Valley, and stay tuned for more stories about Hispanics and vino in the next couple of weeks. 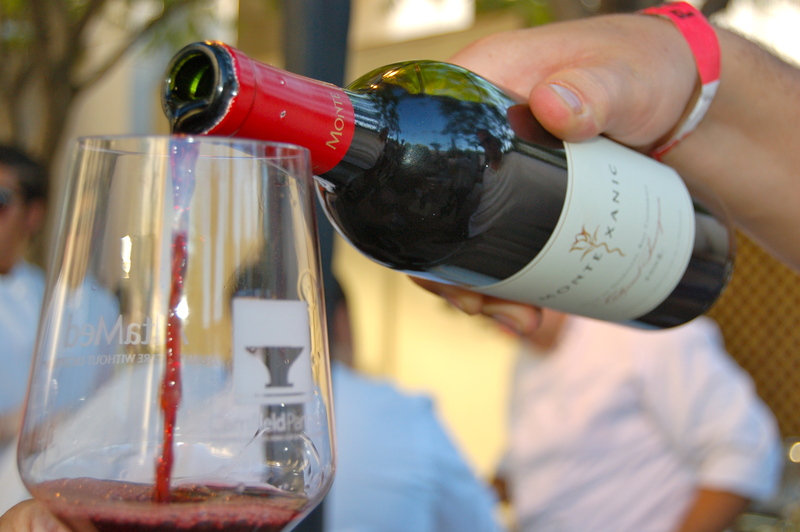 Wines from Mexican-American winemakers were featured at this year’s East LA Meets Napa food and wine celebration. On a balmy evening I strolled through L.A.’s Union Station to the charanga beat of José Rizo’s all-star jazz band, Monograma, a wine glass in one hand, a plate of food from the area’s finest Latin American restaurants in the other. This, chicas y chicos, is living. 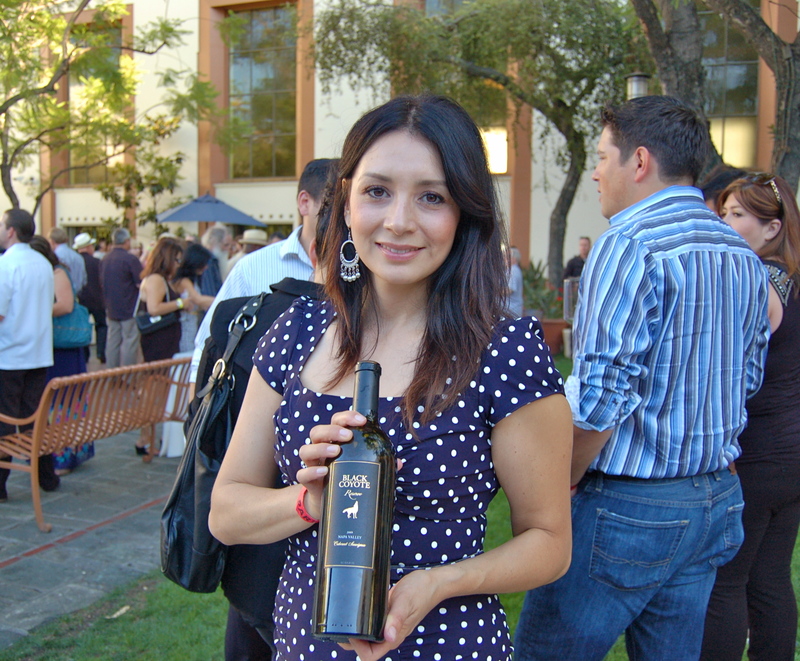 Vanessa Robledo, president and managing partner of Black Coyote Wines, at this year’s East LA Meets Napa. About 30 wineries were represented at this year’s East L.A. 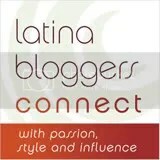 Meets Napa, some of them Latina-owned and operated. Ladies, if you’ve ever dreamed of getting into the wine business, there’s no better place to get a little inspiración. Vanessa Robledo started working in her family’s vineyard when she was 8 years old. Today, she’s president and managing partner of Black Coyote Wines. 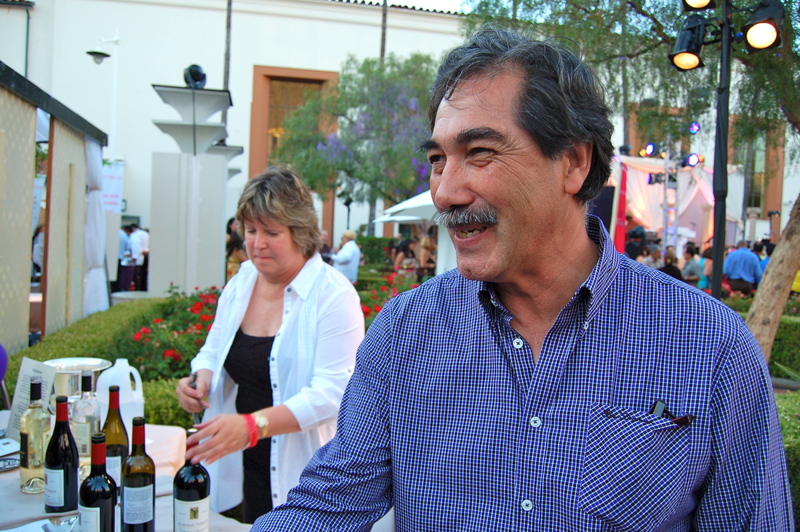 Gustavo Brambila was on hand to talk about his wines at this year’s event. Speaking of inspiration, Gustavo Brambila of GustavoThrace attended this year’s event. Brambila is one of the first Latinos to earn a degree from the prestigious viticulture and enology program at UC Davis. In 1976, the winery where he worked put California wines on the map when its Chardonnay scored higher than a French wine at an international competition in Paris. Brambila was not directly involved in the competition, but actor Freddy Rodriguez played him in the 2008 film, Bottle Shock, based on the historic event. To come full circle, this year’s tasting held one more reason to be proud of things hecho en México. A certain winery from Coahuila, Mexico made the journey to L.A. Established in 1597, Casa Madero is the oldest winery in the Americas. Still going strong after 415 years, the winery gives Mexico a significant place in the history of wine. So raise a glass to Hispanic Heritage Month and to the contributions that Latinos and Latinas through the centuries have made to the wine industry, enhancing our ability to get more SABOR out of life. ¡Salud!